For its second year, the StoryWorld Conference & Expo will be taking in the glitz and glamour of Hollywood for three days of panels and presentations from October 17-19 exploring transmedia storytelling from the practitioner’s perspective. Last year’s conference in San Francisco managed to bring in an impressive lineup of practitioners in the space, and this year looks to continue the trend. 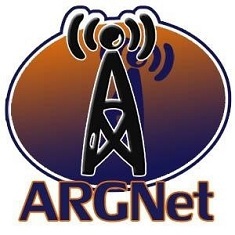 ARGNet is once again a media sponsor for the event, so you’ll find a discount code at the end of the article. Even if you’re not planning on attending, read on for information about a line-up of free podcasts promoting the event, curated by Transmedia LA. Last year, StoryWorld’s focus was on the practitioner, with Conference Chair Alison Norrington proudly declaring that “[t]here are no theorists speaking at StoryWorld. I’ve done everything I can to remain focussed on amplifying the wisdom of practitioners who will share their real-life experiences.” While the schedule of events for this year’s conference retains that focus on highlighting practitioners, StoryWorld is placing a renewed focus on partnering with existing organizations to hone the message. The first day’s panels, for instance, were developed through a partnership with Walt Disney Research & Development. Disney assembled the panels for October 17th, and Disney Imagineers are slated to moderate all of their panels. Similarly, the meetup group Transmedia LA has prepared a full lineup of podcasts, starting with one on Transmedia Activism later today. During the Unconference the afternoon of October 19th, Transmedia LA will be presenting a case study on their Miracle Mile Paradox alternate reality game while Storycode will discuss their recent Story Hack in New York. If you’re interested in attending StoryWorld, register soon: Early-Bird Pricing ($550 for an individual ticket to the conference) ends this Friday, August 17. You can use the promotional code ARGNET to secure a rate of $525 until the end of August: after that, it will provide a $25 discount off the regular $650 ticket fee.